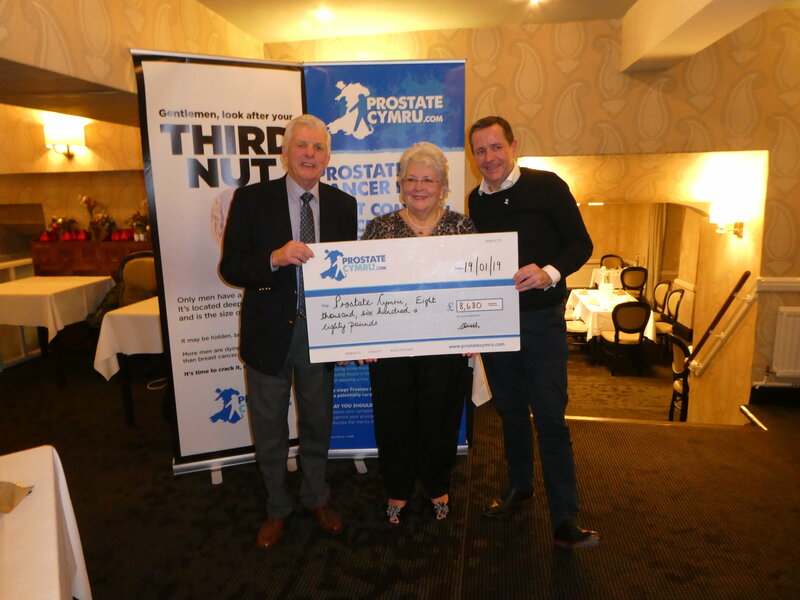 Clive Webb, a retired fireman, from Tenby has raised over £8000 for Prostate Cymru. Clive presented a cheque for £8680 with his wife Ruth to consultant surgeon Neil Fenn, representing Prostate Cymru on Saturday 19th January. Clive and his family have been busy fundraising for the leading prostate health charity in Wales over the last year through a number of events in appreciation of the charity’s work following Clive’s prostate cancer diagnosis and treatment in 2016. Clive’s fundraising began with the Saundersfoot Triathlon, which he completed with his friends Julie Hurlow and Dom Edwards. The event was a sprint triathlon featuring a 750m sea swim, 20km cycle and a 5K run in the picturesque seaside resort. At another sporting event, the increasingly popular Cardiff Half Marathon, Clive was joined by his daughter Tori Hayes and friend and former colleague Glynne Morgan. The team finished the race in times ranging between 2 and 3 hours. Other events organised by the family included a Big Breakfast in November in which Clive, Tori and the Webbs served around seventy breakfasts with a smile and the extremely busy Tenby Beer Festival where the family supported son Jonathan Webb and Tenby Round Table with the running of the event, a highlight in the community’s calendar.